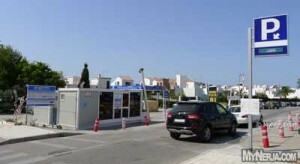 There are also various other ways of paying (by the minute, or by pre-paying certain amounts in advance) and there are discounts for Nerja residents if their cars are taxed in Nerja (so expats with foreign registered cars, or people with cars registered in other towns don’t get the discount). could not agree more . just got back dont mind paying but there prices are way too high. We don’t drive to Nerja anymore. We have an apartment right next to the entrance to this car park, and we used to stay in Nerja for approx 3-4 months at a time. Parking is often impossible now on the streets around there, and the car park is far too expensive for the duration of our stay. Pity, but they have priced us out of Nerja now, unfortunately.